The generally accepted treatment for ocular exposures is copious flushing with potable water sterile, ophthalmic eye irrigation fluids, or lactated ringer’s solution. We have received numerous reports that this treatment is ineffective in relieving the pain. At the same time many of these same reports have indicated that instillation into eye of oily materials such as castor oil rapidly relieves the discomfort. We are only able to recommend use of these materials when they are packaged and labeled for ophthalmic use. Instillation of non-sterile materials into the eye risks contamination. While the relief of pain is most desirable, it should be remembered that the pain is temporary and that uncontaminated Skydrol® fluids at room temperature do not produce permanent damage to the eye despite the level of discomfort they may cause. Our first aid treatment recommendation for ocular exposures remains immediate flushing with plenty of potable water or a sterile commercial eyewash solution for at least 15 minutes. After flushing, ophthalmic preparations of mineral oil or castor oil may be instilled one time in the exposed eye(s) for relief of discomfort. A licensed pharmacist is a good source of assistance in finding such preparations. Flushing the eye with milk, both whole and skim, has also been reported to effectively relieve pain after ocular exposure. We cannot support this practice since milk is not sterile. The use of anesthetic eye drops can be very effective in relieving the temporary discomfort. These medications have their own toxicity to the eye as well as other risks. They should therefore only be used by physicians knowledgeable in their appropriate application. 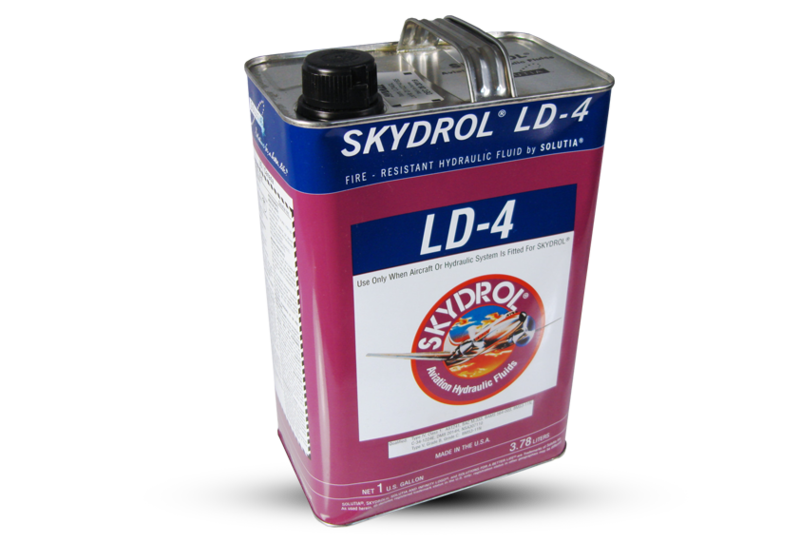 It should always be kept in mind that eye pain may be due to something other than local effect of Skydrol® fire resistant hydraulic fluids. Foreign bodies may be flushed into the eye by a stream of fluid. These may require manual removal by a skilled practitioner. 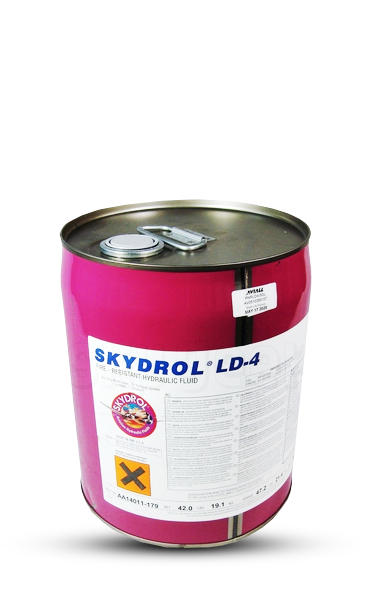 Use of Skydrol fire resistant hydraulic fluid in pressurized hydraulic systems leads to the risk of mechanical injury from a high pressure stream striking the eye. Injection of the ma- terial into the eye or for that matter any tissue of the body from a high pressure leak requires the immediate attention of a physician. Hydraulic equipment can heat the fluid it contains or contaminate it with grit. The possibility of thermal burns and corneal abrasions must be kept in mind when exposure is from leaking equipment.